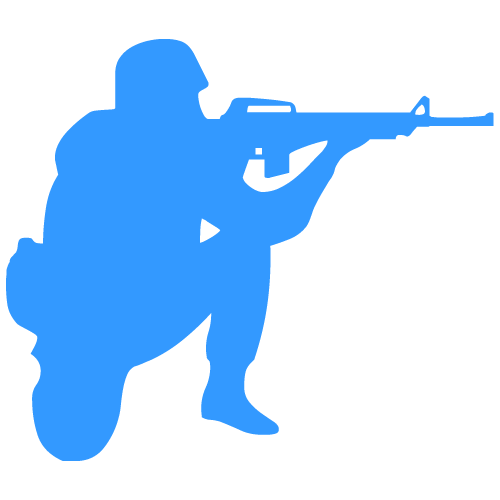 Yorkshire stinger had the most liked content! 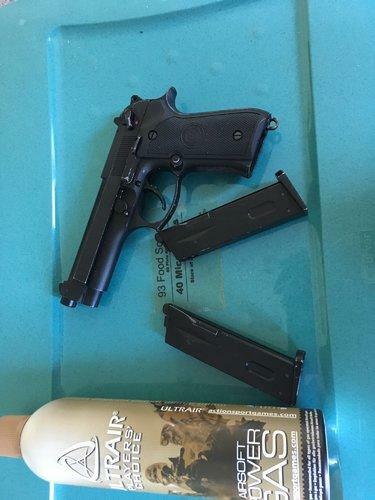 Selling this WE Gas blow back pistol with 2 mags and almost a full thing of gas (2 mags filled from it). All works as it should with no leaks, wife said I have too much stuff so got to sell some. Located in york or will post at buyers cost. 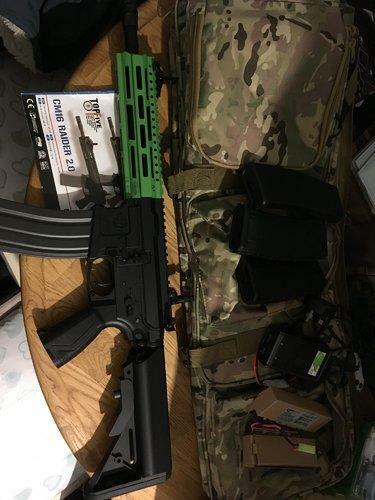 Selling this g and g cm 16 Raider 2.0 rifle as new condition as only fired a few hundred bbs to zero sites never been outside. Selling with 3 high cap mags, 2 batteries, battery charger, carry case and about 5-6k bbs (a mix between .2 and .25g. bought to start airsofting but told off by the wife so now having to sell. Over £250 worth of stuff and most of it never been used (only tried one of the batteries and mags). Located in york or will post at buyers cost. 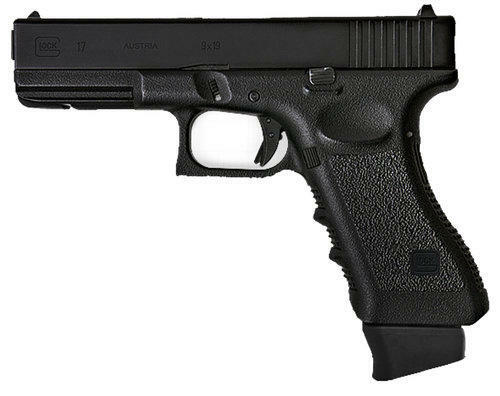 Looking for a starter gbb pistol Glock or military style, preferably with a mag or 2. 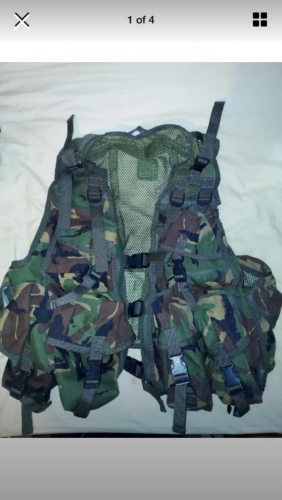 Hi all so for weeks my mate talked me into attending airsoft so I agreed I would try it (being ex military should enjoy a bit of pew pew) but being a bit gun ho started shopping and researching and ended up with full military gear and a g and g cm16 raider 2.0 (apart from boots). 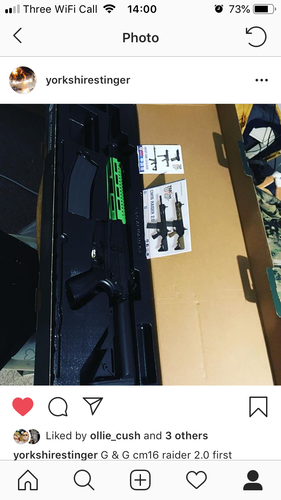 I ordered from https://fubarbundy.co.uk/ and have to say I was impressed, very quick delivery, competitive price online and asked for two tone green and they just painted the front grip dark green (I’m going dpm on it I think so should tie in nice) turn around was about 3-4 days. Looking forward to getting some magnum boots and hitting my first sesh in feb.